There's more seeds to be sown! Back in the winter of 2008, I was sharing with my wife about how we need to plant some corn for a maze for our nieces to enjoy the farm. These ladies have continued to be an important part, sharing their ideas of new and fun activities to be added. 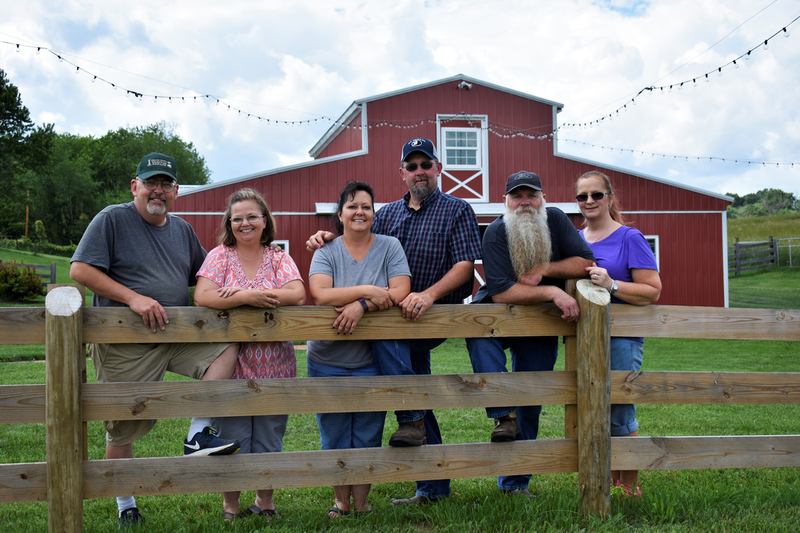 Being the supportive wife that she is, we started sharing ideas of how it would be nice if more kids could come out to the farm with their families and have a day free of worries and problems while making fun memories. Come May of 2008, time to plant the corn, my mother was unexpectedly placed in ICU due to complications in a medical procedure. After a couple of days, the doctors told our family that they had done all they could do for her. I can remember my dad saying, while shaking the doctors hand, "you take care of my wife." My dad passed away that night very unexpectedly in his sleep. My mother pulled through. While recovering, she looked at me one day and spoke in a soft, weak voice and asked, "did you get your corn planted?" Surprised with her question, I said, "no my heart is not in it and it was getting late in the planting season." She gave me that look and said, "you need to get those seeds planted! You know your father would want you to do what you said you were going to do." seeds to all that come through the gate, being reminded the importance of family. There are many that work here to make things happen. Our family, friends and friends that are like our family. The work behind the scenes are very similar to watching a blooper show, but we have a great time joking, pulling pranks, and laughing at each others mess-ups as we work hard. This is a real working farm made up of beef cows, sheep, pigs, chickens, llama, donkeys and let not forget our big white dog, Callie. We enjoy the farm and it was a dream of mine to have a farm. 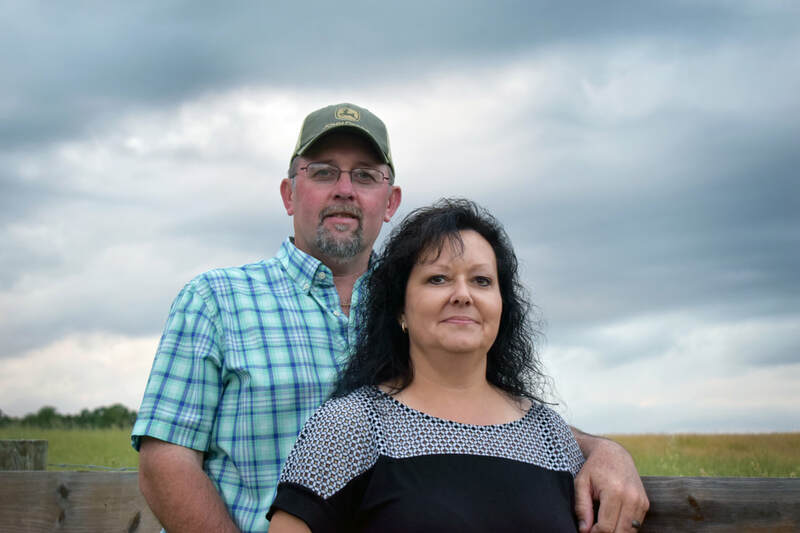 At the age of 18, I was able to start purchasing land in small tracks and at the age of 22, marrying my high school sweetheart, we worked together to grow the farm and continued to build a purebred herd of cattle. 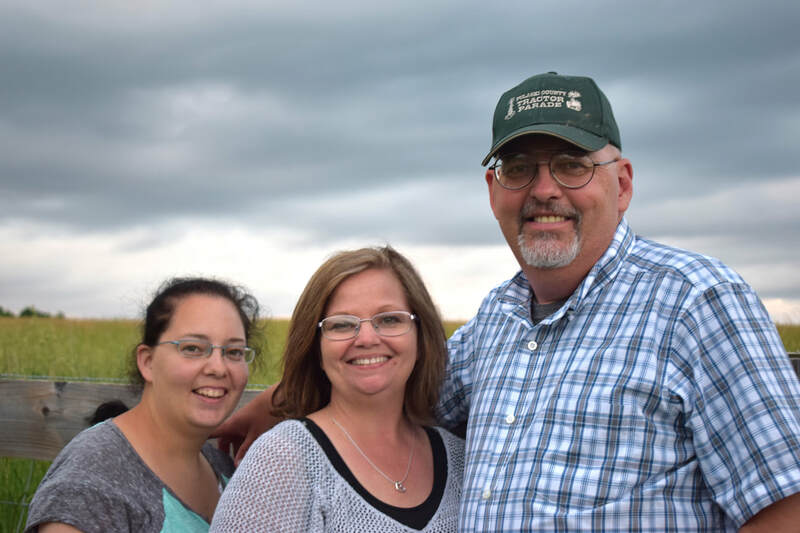 We traveled to purebred sales to market our cattle, while making many friends across the country. But God had other plans for us and the farm. Since that first seed was sown in 2008, our lives have been touched by so many, young and young at heart that have come through the gate. Absolutely nothing can compare. So we don't own this land, God does, and He invites you out to his farm to meet the care takers of it and to enjoy the activities.